Augmented reality (AR) and virtual reality (VR) fit in with the glitz and glamour of the Consumer Electronics Show (CES). Evidence of it can be seen with all of the AR and VR head-mounted displays (HMDs) popping up throughout the space. The market has changed significantly from hiccups like Google Glass, which has actually been revived for industrial use. The challenge is that AR and VR cover a wide range of systems and applications. One area is the virtual home theater. 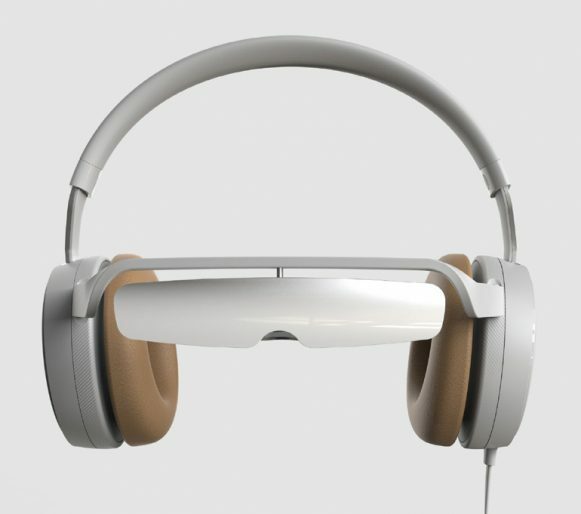 Pico Interactive’s “Eagle” is a lightweight mobile headset featuring over-ear, noise-cancelling headphones and a high-definition OLED display band. The removable OLED microdisplay, developed by Kopin, measures 0.49 in. and has 720p resolution. It provides the equivalent of an 80-in. screen viewed from 10 feet. The advantage of the system is that it lets users maintain situational awareness of their surroundings. Apple and Google released AR software development kits (SDKs) for their platforms. 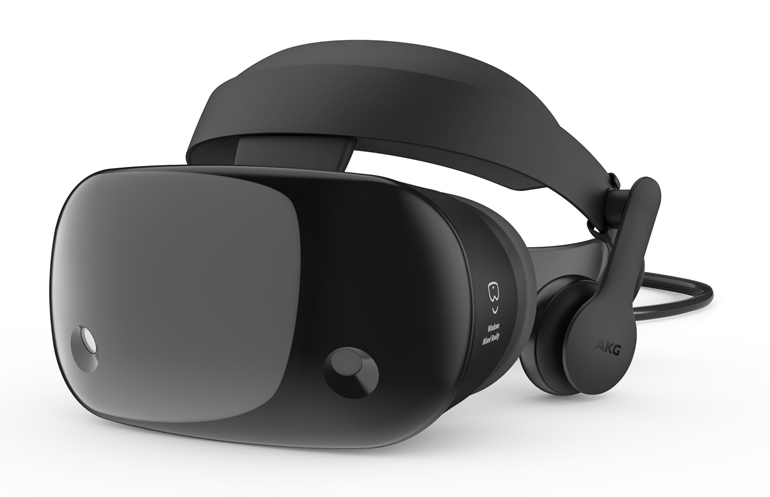 Microsoft has also been pushing its Windows Mixed Reality based on technology developed for its Hololens. A number of mixed-reality headsets support this software framework, including devices from HP, Dell, Acer, and Samsung. Samsung’s HMD Odyssey weighs in at 1.4 lb., including AKG headphones. The AMOLED displays have 2880- by 1600-pixel resolution. Among its features are a 110-deg. field of view and a 90-frame/s refresh rate. Magic Leap’s Leap One AR glasses use a light field display. It’s designed to be comfortable for longterm wear. Included are a controller and battery pack that can be worn on a belt. Another new AR device at CES comes from ThirdEye. The ThirdEye X1Smart Glasses provides the equivalent of a 90-in. screen at 10 feet. The display has 720p resolution with a 40-deg. field of view. The glasses incorporate a 13-Mpixel camera that can record 4k2k at 30 frames/s, 1080p at 60 frames/s, and 720p at 120 frames/s. Gaming is one arena in which VR glasses can provide an immersive video environment, but Teslasuit wants to take virtual reality to the next level. 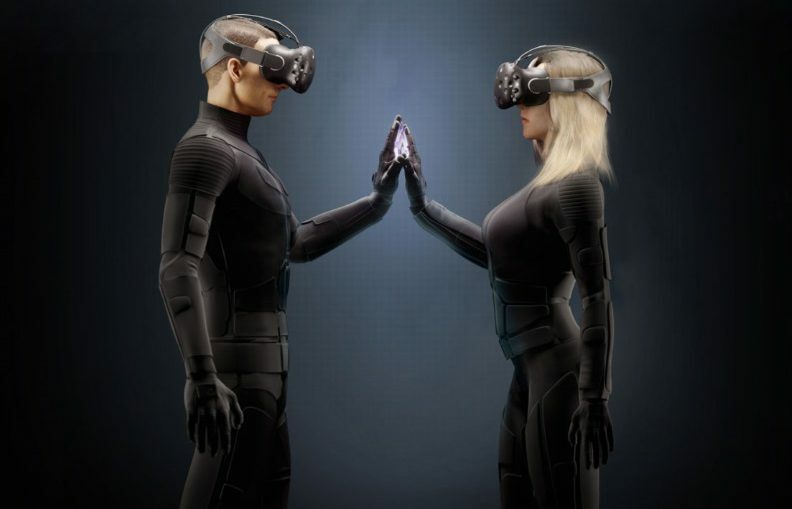 The Teslasuit is a full-body, haptic environment. 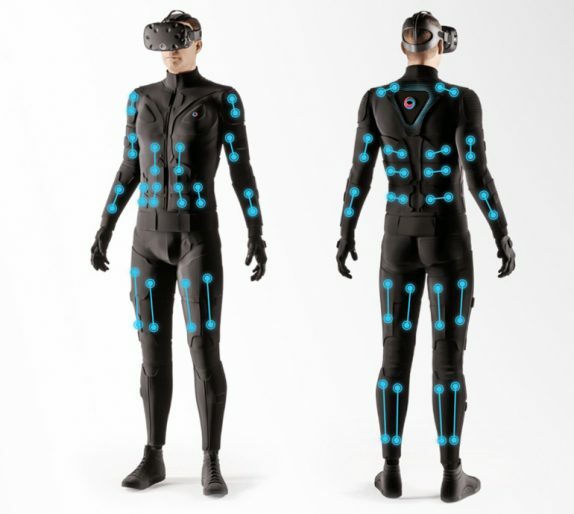 The suit has 46 haptic points that can provide different feedback to the wearer, including weight simulation. It even maintains limited climate control that can heat or cool the body from 58 to 104°F. The suit also has TENS (Transcutaneous Electrical Neural, or Nerve, Stimulation) and EMS (Electrical Muscle Stimulation) support. Fourteen motion capture sensors provide feedback to gaming software, meaning that many controller features are essentially built-in. This allows the suit to be used for motion-capture applications as well. The sensors and feedback mechanisms are controlled by an on-board processor. A lot of AR and VR devices at CES will not be there to highlight the devices; rather, they will be utilized as part of solutions from simulating automotive experiences to controlling drones. SimforHealth will use HTV VIVE to demonstrate how virtual-reality MedicActiv can be applied in healthcare training. 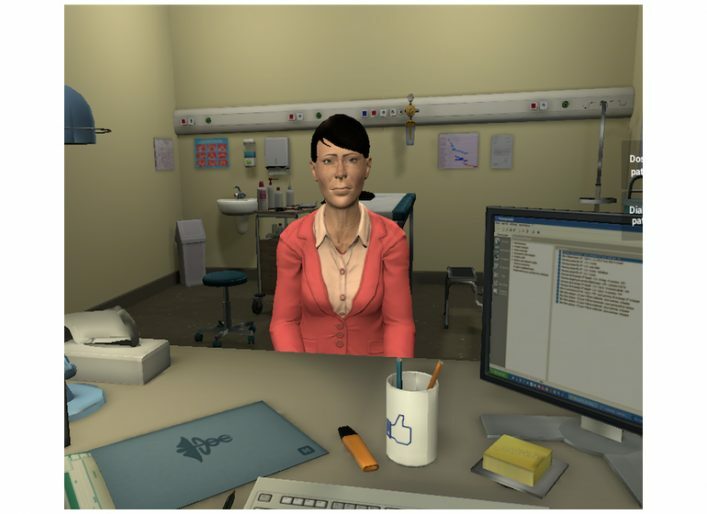 The virtual clinical case was developed in partnership with Stanford Medicine to train students and healthcare professionals. Tools can create a clinical case using a virtual patient’s medical record, doctor/patient conversations, and the different diagnostic and therapeutic decision options. AR/VR solutions and applications like SimforHealth may actually be more interesting than the new hardware at CES. Take Snaappy, for example (Fig. 7). 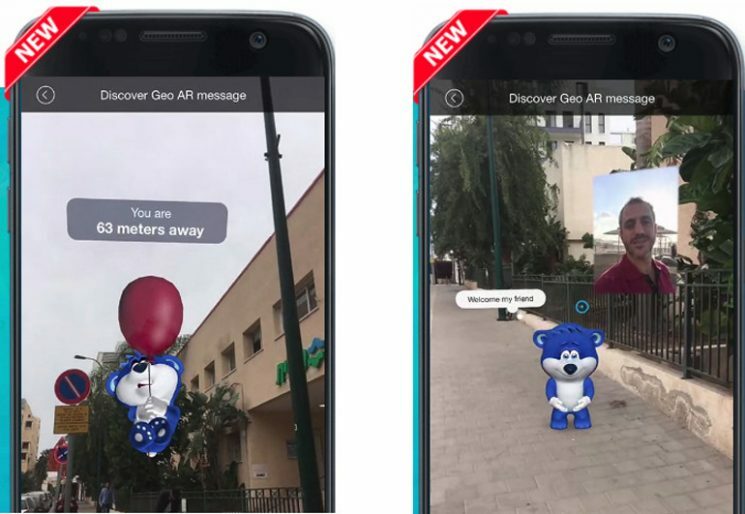 Its application, termed a GEO AR message application, lets users create 3D AR messages. It provides a gallery of 3D AR characters that can be added to the messages. The app is available for Android and iOS platforms.